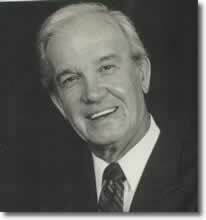 The principles that Og Mandino teaches are tried and tested in his own life. Many are surprised to know that at 35, Og was a wandering derelict–a hopeless alcoholic who nearly spent his last few dollars on a suicide gun. He describes his early life as never being more than a few paces ahead of bill collectors. When he finally hit rock bottom, Og credits books, both modern and classic, with rescuing him. He was particularly moved by Success Through a Positive Mental Attitude by Napoleon Hill and W. Clement Stone. Within 10 years using the principles he had learned, he was executive editor of Success Unlimited Magazine and the published author of his his first best seller, The Greatest Salesman in the World. As he learned skills and attitudes that helped him succeed, Og was anxious to share them with the world. This led to more books, lectures, and speaking engagements. At his death, he was among the most sought-after speakers in the world.